Do you ever notice the strong connection between scent and memory? A single sniff of something can transport you to a certain period or specific event from your life in a matter of seconds. The power of scent is undeniable and for me is without doubt the most impactful of all the senses in my daily life. I’m a strong believer in changing up your fragrance depending on the season, weather, event or even specific outfit and it goes without saying that certain scents suit certain times of year better than others. With all that said, there are times when a fragrance that evokes memory can be a great way of re-living those Summer memories, and simply by spritzing the scent that you wore perhaps for a special dinner, a day out with a loved one, or during that epic Summer holiday, you can be reminded of that fantastic event just from your chosen scent. 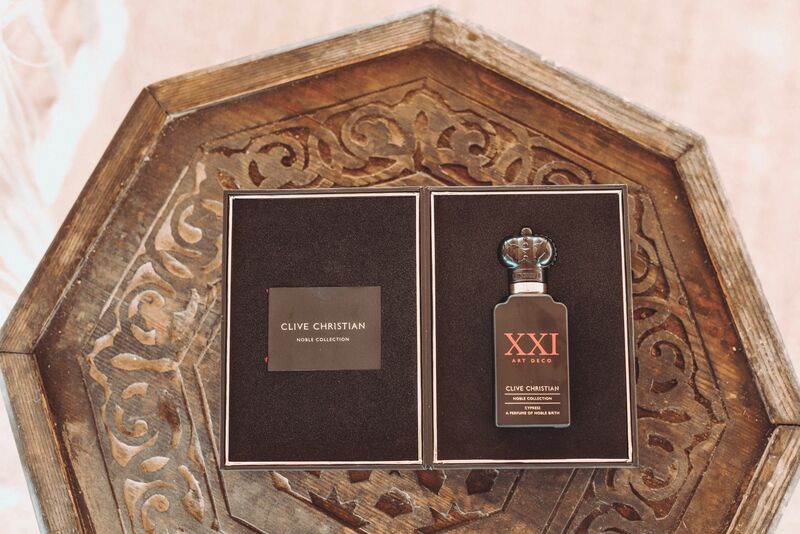 I was introduced to Clive Christian a few months back and found myself immersed in their wonderful fragrances. It’s their use of unique ingredients that I found particularly intriguing, with papyrus, cypress and immortelle all standing out. The timing was perfect. 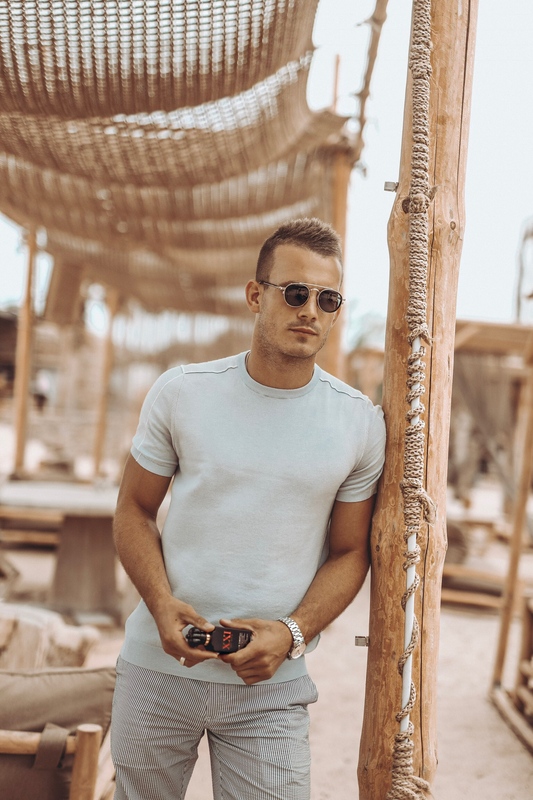 I wore the scent throughout our family holiday to Kefalonia this year, a week where I truly switch off, relax and spend quality time with my family. XXI Art Deco is one of four new additions and is my current favourite from the Noble Collection. With a heart of cypress it is particularly well suited to Greece, where many a cypress tree grows and one sniff of the fragrance instantly takes me back to the tavernas sat along the seafront, surrounded by rows of this iconic tree. The Noble Collection was launched back in 2016 and was inspired by nobility and the royal families of years gone by. Paying homage through the selection and concentration of some of the most prized ingredients and influences of the era, the Noble perfumes are some of the most complex and evocative – I found them to be extremely powerful and ideal for those of us looking to walk into a room and really make a statement. XXI Art Deco was inspired by the roaring 20s, the days of Great Gatsby, jazz music playing loudly and when life moved exceptionally fast, it’s this lively and energetic note that make the scent perfect for wearing during the day, when you want to take it up a notch. Combining top notes of bergamot, basil and mandarin it’s initially very zesty and the perfect fresh scent for warmer months but the heart note of cypress combined with base notes of cedar wood and amber gives it some much needed warmth and woodiness, making it a great scent for the Autumn months as the weather transitions from warm to mild. 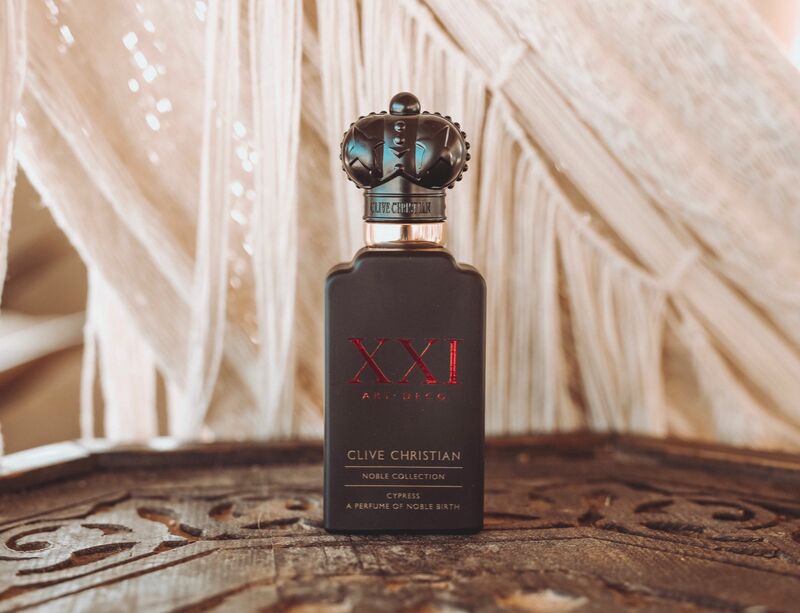 Clive Christian fragrances may be a higher price point than is typical for a regular fragrance, but I find them to be much longer lasting and more powerful and potent than the more common EDP. The fragrances are all ‘pure parfum’ which essentially means they are a higher parfum concentration (around 25% in this case) resulting in a longer lasting and better quality fragrance and scent. Just one or two spritzes of the scent will leave you smelling incredible all day – just be careful not to overdo it! A true gentleman shouldn’t leave behind his fragrance after he leaves the room. Why not make it your own by experimenting with pairing and layering fragrances. 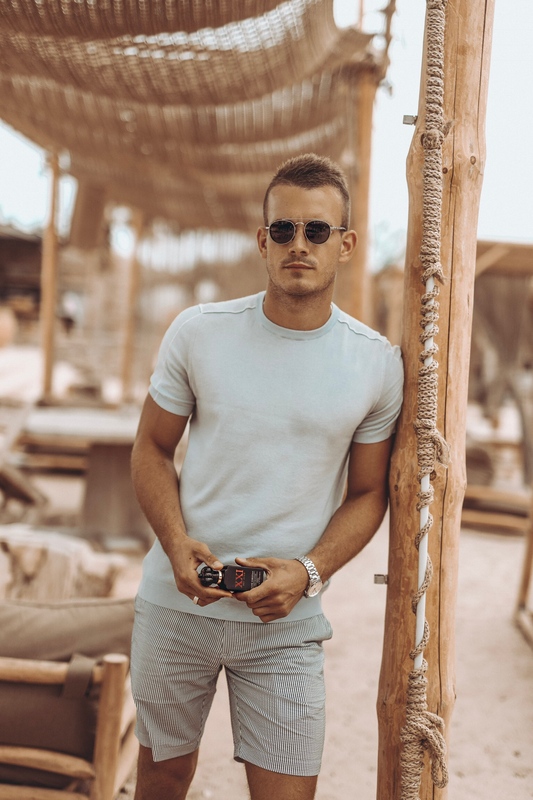 It’s becoming increasingly fashionable to have your own bespoke scent, and my particular favourites of Immortelle and Cypress layer well together, creating a real statement scent ideal for those smarter, more ‘dressed up’ occasions. 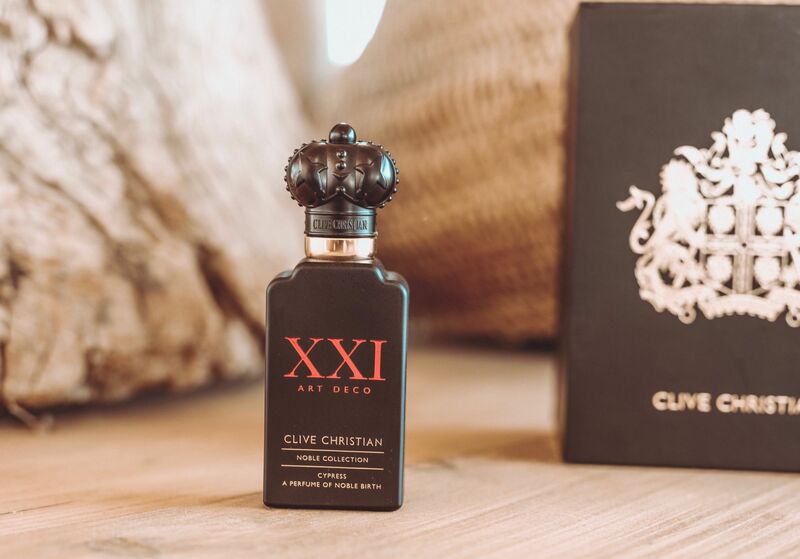 Visit Clive Christian to discover more about the Noble Collection and the stand out fragrances available. What is your favourite scent for holiday memories?